My latest Vinyl Anachronist column for Perfect Sound Forever is now online. In this installment, I talk about my encounter with the new Technics SL-1200 turntable at the 2016 Consumer Electronics Show. Enjoy! I'm saving the best for last. I've been wanting to talk about this album for a while now. As I've already mentioned once or twice, I've received quite a few 2L Recordings to review over the last few months and now the pile is gone. This lone title, with Cikada written prominently across the front cover, arrived shortly after I returned from CES at the beginning of the year so it was last to be reviewed. That means I really couldn't discuss it in the same context of a trade show as I did with the others. That's unfortunate, because I'd really love to see the crowds respond to it. My gut says I'd clear the room, but at least a couple of people might stay and declare this one of the most intriguing recordings they've ever heard. To the unadventurous, Cikada might sound like a recording of random sound effects and an occasional BIG moment that makes you leap out of your chair. 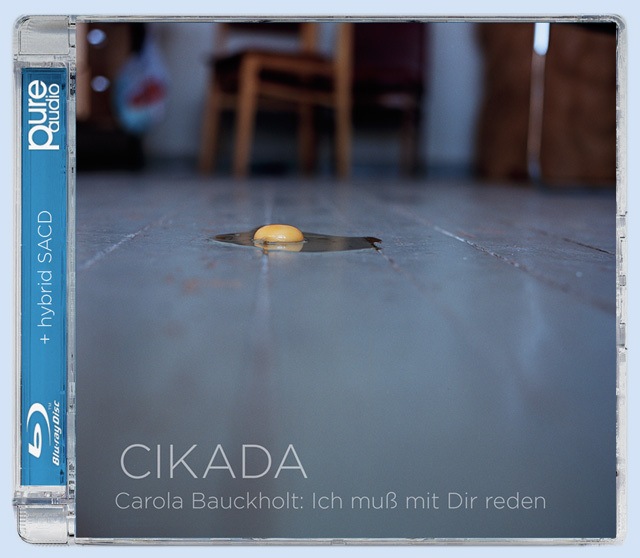 (For now, I'm just going to call this album Cikada--Carola Bauckholt is the composer, Ich muss mit Dir reden is the title of the album and the piece is performed by the Cikada Ensemble, the same intriguing group responsible for Eivind Buene's Possible Cities/Essential Landscapes.) Perhaps that's why this recording might not work at an audio show or a dealer event. You can't just listen casually. You have to crawl inside these sounds and inhabit the same space. Once you do this, you start to notice that there are structures and rhythms to these strange sounds. You start to recognize these patterns as somewhat musical. Then you start to notice how many of these sounds are produced by somewhat conventional musical instruments, and how the startling blast of a siren can slowly reveal itself to be a clarinet or a violin. Next, you'll hear a sound rumbling under the floor boards that might be a double bass and it might be a didgeradoo. And is that someone trying to stop a desk fan with their front teeth? Then, after you make enough of these connections, the music starts to rise out of the chaos as an actual melody, a beautiful one, played with emotion. 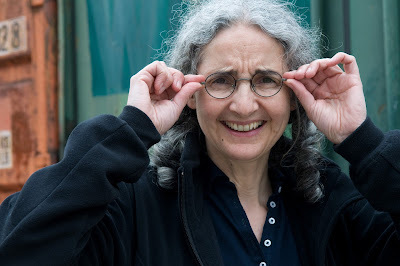 The surprising part is that these epiphanies, which never appear for more than a minute or so, start to connect to the sound effects until you realize something. It's all music. It's been so all along. What I'm describing, of course, is a musical challenge, one that many won't accept. You do have to dig deep into Cikada, and that means reading some of the most descriptive and helpful liner notes I've ever seen. 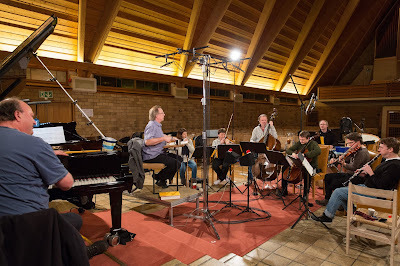 The album contains four lengthy pieces totaling more than 54 minutes, but the music changes its structure so often that the entire experience resembles a suite. In the liner notes, however, you get very specific insights into the meaning of each section, and what images these sounds should evoke. These insights come from two different perspectives--that of Kenneth Karlsson, the pianist and artistic leader of Cikada, and composer Carola Bauckholt. If you feel that Cikada is too overwhelming to digest all at once, these insights will help to bring everything into focus. I have plenty of experimental music in my record collection. At this point of my life, I'm starting to understand that I really dig most of it. What separates Cikada from the majority of those other albums is the way it is recorded. I've said over and over that these titles from 2L Recordings are state-of-the-art when it comes to sound quality. But this album may win the blue ribbon for its enveloping 3-D presentation--and I'm not even listening to this amazing disc through one of the available surround-sound formats supported by 2L through their innovative recording technologies. There's unprecedented soundstage depth, at least in my experience. 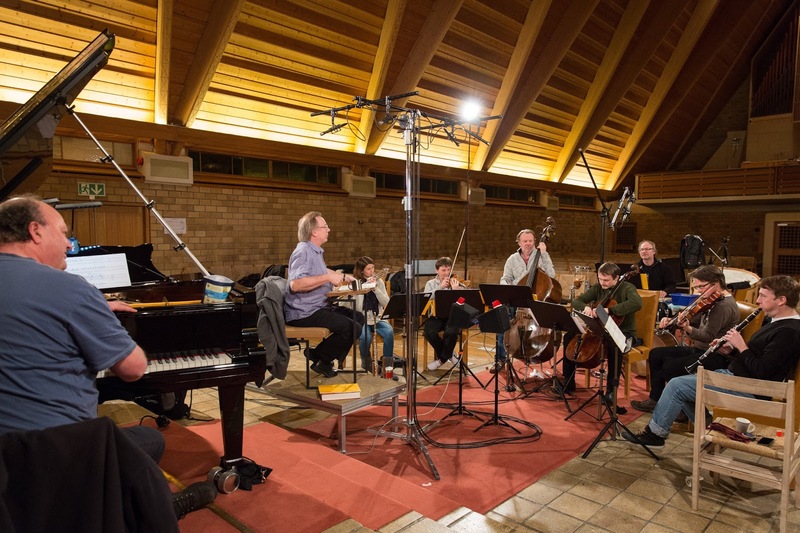 But what's most amazing is how well each performer and each instrument is highlighted on the stage, and how the resonances coming from one instrument interacts with its immediate environment, especially when it comes to the other instruments. You can hear all of that here. You can hear everything. That's why I enjoy this album so much, and why I have to play it in its entirety each time. This is difficult material and it's obviously not for everyone, but reviewing this album has resulted in some of the most memorable listening sessions in quite some time. I like bands that take you for a ride, and by ride I mean like in the trunk of a car where you have absolutely no idea where you're going. A good example of this, perhaps, is Arcade Fire's Funeral, where a majority of the songs have a break midway and morph into a different song--connected in theme to the first half but different nonetheless. 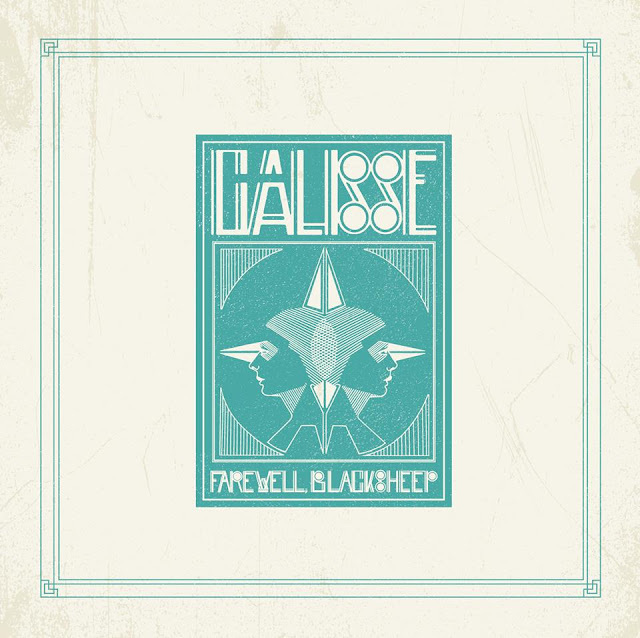 Calisse, a Portland quintet, takes this concept to a different level on their debut album Farewell Blacksheep." 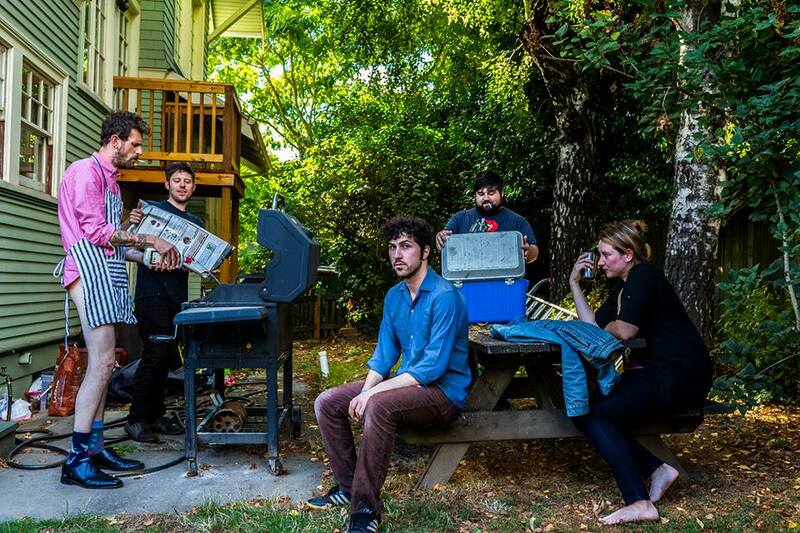 These nine songs take up just a little over 23 minutes, but from the back of that trunk it feels like you've gone all over town. Starting off with a moody, downright creepy instrumental overture, Calisse steers into all sorts of neighborhoods--'70s power pop, '90s post-grunge and even a brief flirtation with old-school punk (on "Amberwood Drive"). You can even hear a bit of Neutral Milk Hotel in the way lead singer Jason Collette stands apart, vulnerable and honest, from the rest of the band. That comparison isn't accidental--the band got its start playing NMH covers, and much of Calisse's energy is created from that juxtaposition of imaginative musical arrangements and stark, somewhat isolated vocals. You even get a couple of cuts, "Whole Again" and "Stay," that might even qualify as radio-friendly hits--which is meant as a compliment. The former is a quieter acoustic song that is the sonic jewel of the album--it's the one that will remind you the most of NMH's "King of Carrot Flowers" suite. The latter is as pure and as catchy of a power pop song as you can get, with its memorable guitar riff and a chorus that repeatedly asks the question, "Won't you stay?" In the land of rock and roll, you should know exactly what that means. Having these two focused songs in the middle of the album creates an intriguing structure. Farewell Blacksheep starts off murky, snaps into place and then slowly starts to tip off the rails. As I mentioned, it's a crazy, fun-filled 23 minutes of indie rock bliss. If I had one reservation about Farewell Blacksheep, it's the lo-fi sound motif. With a band this willing to explore, I think you have to give them just a little more space to accomplish their mission. It's that whole Loudness Wars thing, how the recording sounds open and full of depth during the quiet times, only to become congealed and blurred when the entire band gets going. 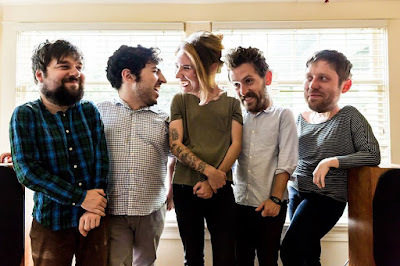 If this band takes off, and it deserves to do so, then maybe the second album is the one where they rent the big studio and the hotshot producer and then they get to be ambitious and "discover" themselves and make the music they've always wanted to make. That's when the purist fans will start raving about Farewell Blacksheep, and how it's their greatest album because it is so raw and unfettered by rock star trappings that, for better or worse, no longer exist. You can order Calisse's Farewell Blacksheep through the band's website. I ask this question because I've never heard of this composer before. I'd like to think I'm knowledgeable about most of the classical composers who bridge the gap between the Baroque era and the Classical era, but this prolific gentleman, who wrote 135 violin concertos and 200 sonatas during the early and mid 18th century, is a pleasant surprise in one of those where-have-you-been-all-my-life sort of ways. On the 2L Recordings' website, it's mentioned that Tartini's music is rarely performed today--it's considered somewhat "enigmatic--impalpable and mysterious." I agree wholeheartedly, which is why I responded so favorably to this new Blu-ray audio disc. Playing it for the first time, shortly before I headed off to CES, I was mesmerized by this music and the way it seemed to expand on more common baroque themes. But instead of offering a more direct, streamlined version of these ornate musical motifs that were preferred by his contemporaries, Tartini ventured further away from the mainstream with strange and challenging tangents that will remind you of compositions created 100 to 150 years later. 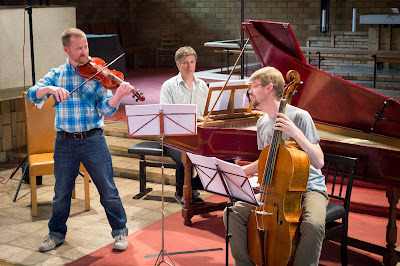 Part of the reason the three Tartini pieces on this disc are so intriguing is the choice of instrumentation, with Sigurd Imsen using a baroque violin and Hardanger fiddle (which has an open, woody and resonant sound compared to conventional violins), Tormod Dalen playing a baroque cello and Hans Knut Sveen sitting at the cembalo (a German harpsichord). Normally a more conventional trio would approach this music in a more straightforward manner, but these rarer instruments have such a delightfully sonorous sound that they can venture further away from Tartini's beautiful melodies and extract an unusually exotic result. 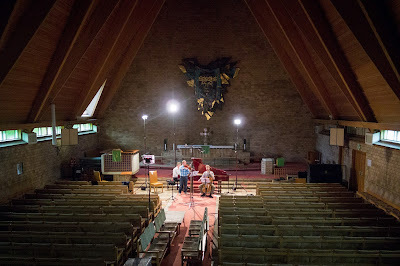 In addition, the violin features a scordatura tuning, which means that it's purposely altered to include "non-conventional" notes that combine the familiar with the experimental. With all these novel and fascinating elements in place, Tartini becomes so much more than a well-recorded program of chamber music. I finally got around to reading up on Tartini, and it turns out he's not held in the same high regard as fellow composers such as Handel and Hayden and, of course, Mozart. 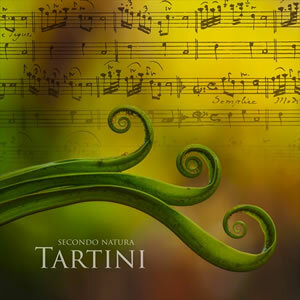 Mr. Tartini was known for his writings on nature as much, if not more, than he was known for his music. That seems to suggest two things--either that means more scholarly writers than I will criticize me for enjoying this music so much, or that the 2L magic has elevated this album into something special. I'm leaning toward the later, since I get goosebumps whenever I play it. This is the disc I really wanted to bring to CES, the kind of disc filled with memorable, extraordinary music recorded by 2L's Morten Lindberg with his innovative technologies. But alas, this disc is only offered in the Blu-ray format, and the digital source we used at the show doesn't do Blu-ray. That's too bad for me--I was gobsmacked by this beautiful, wondrous music and I know that show attendees would have loved hearing it. So who is Tartini? If you have the means to play Blu-ray audio discs on a high-quality audio system, you need to find out. Of all the 2L discs I've been reviewing over the last few weeks, this one is my favorite for pure musical enjoyment. Highly recommended.